The refined buckwheat which is on the market contains 6.3% protein, 1’1% lipids and 79.7% carbs with 354 calories per 100 grams. With three parts of water, the energy of 100 grams of buckwheat polenta drops to about 100 calories, excluding any seasonings. Buckwheat is rich in vitamins E, B1, and B2, as well as protein, carbohydrate, fiber, phosphorus, magnesium, copper, zinc, manganese, selenium and iron. 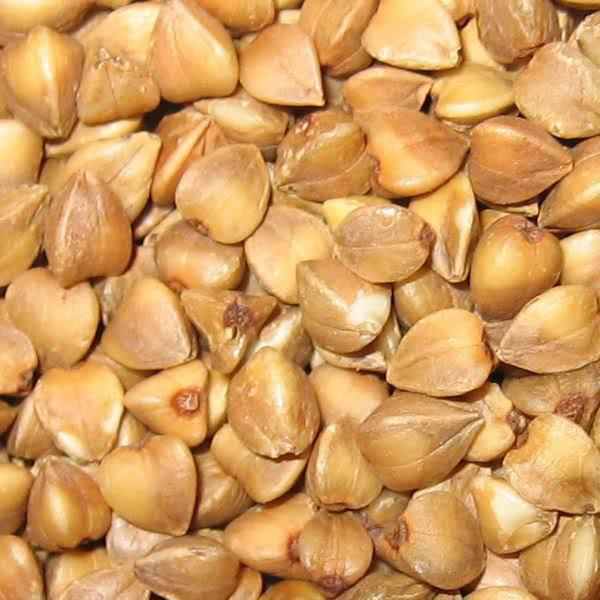 Although not part of the grain class (it is a herb related to rhubarb and Yellow dock), buckwheat is superior to wheat, for example, through the nutrients that protect the body from external factors and fortify, especially in winter and early spring . In addition, it keeps weight under control. Being rich in insoluble dietary fiber, in lysine (an essential amino acid), magnesium, copper and B vitamins organic, buckwheat contains diuretic substances that reduce the excess of water from the body. Moreover, buckwheat is a recommended food in all diets. How can we enjoy buckwheat? If until now you have not eaten the seeds, you should know that are flavored and not too sweet. You can eat the seeds raw or roasted, as you wish, simple or in salads, with pasta or with other grains for breakfast. In addition, buckwheat is gluten-free, so, it can be safely consumed by people suffering from celiac disease. It’s good to eat every two days, along with your favorite cereals: wheat, rye, oats or rice. The indicated consumption on a week is of about 300 grams of buckwheat.